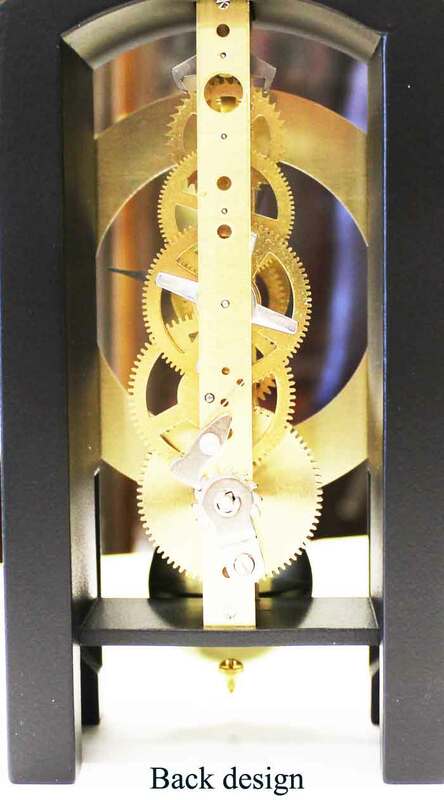 Unique, modern 14 day keywound, non-chiming mantel clock with open gears from a "skeleton" movement is a size that can fit anywhere. Satin black solid wood case with an arched top and open bottom. 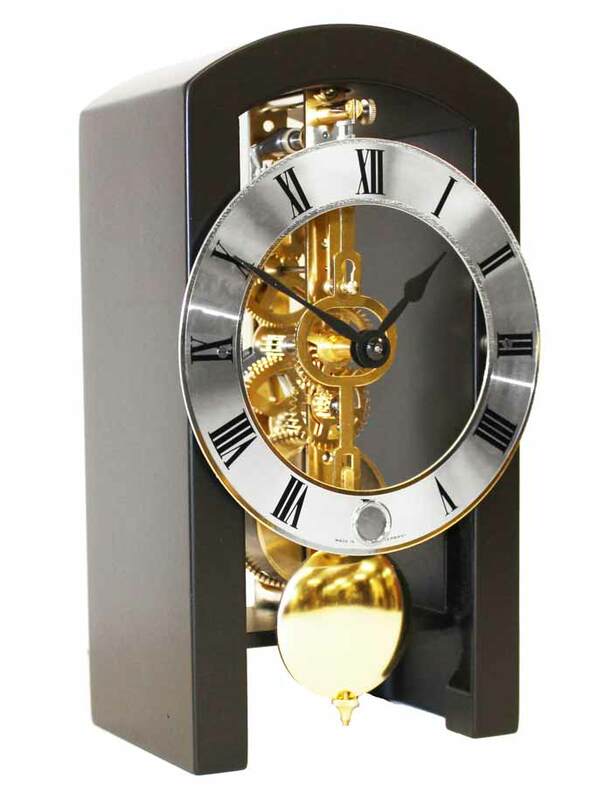 Solid brass swinging pendulum. 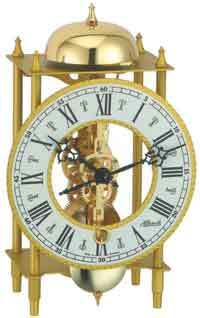 This clock is wound from the front twice a month. 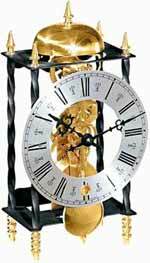 Suspended spun silver dial with black Roman numerals and hands. 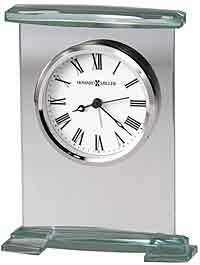 Perfect for a mantel, shelf or desk at home or in the office. Solid brass, non-chiming open gear pendulum movement made in Germany by Hermle. Case is built and assembled in USA. 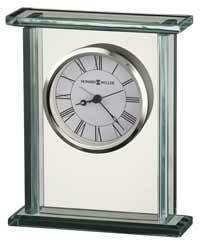 Size: Height: 7 5/8", Width 4", Depth 3 1/16"
Clocks for sale at The Clock Depot including the 23015-740721 at discount prices.